Before Soigneur Magazine was born, most cycling magazines wrote about the technical aspect of cycling. 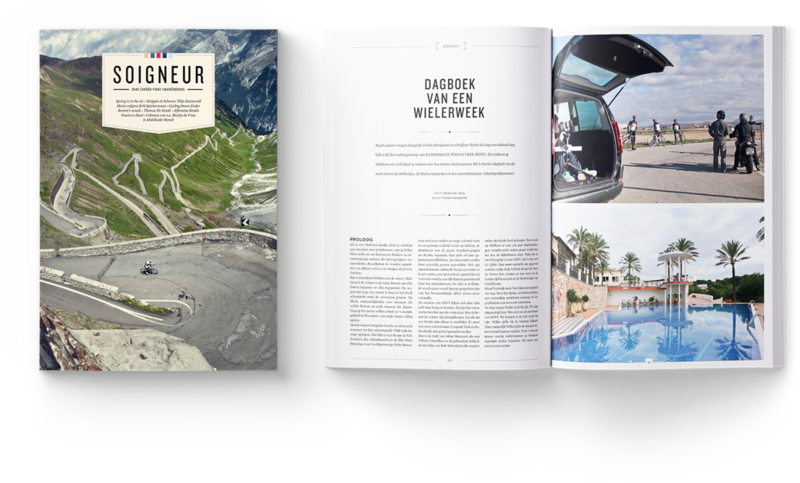 As one of the first in the market, Soigneur brought out a magazine that showed us the romantic lifestyle side of the cycling world. With amazing stories, reports, photographs and interviews they quickly became an icon among cycling fans both nationally and internationally. 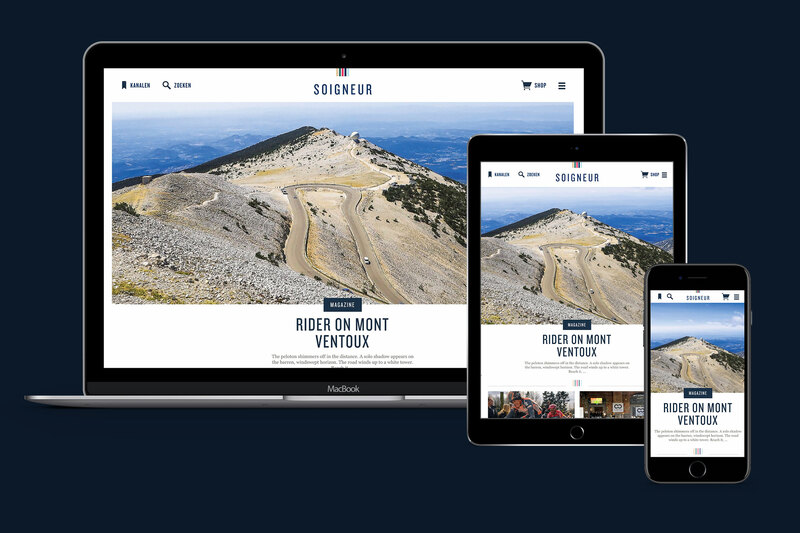 Since Soigneur Magazine is a collaboration between IN10 and Tot en met Ontwerpen, I was responsible for the design of the new website. I always love to have the new Soigneur magazine in my hands. Its amazing design and content makes you grab a chair, start reading and unconsciously forget about time and the world around you. 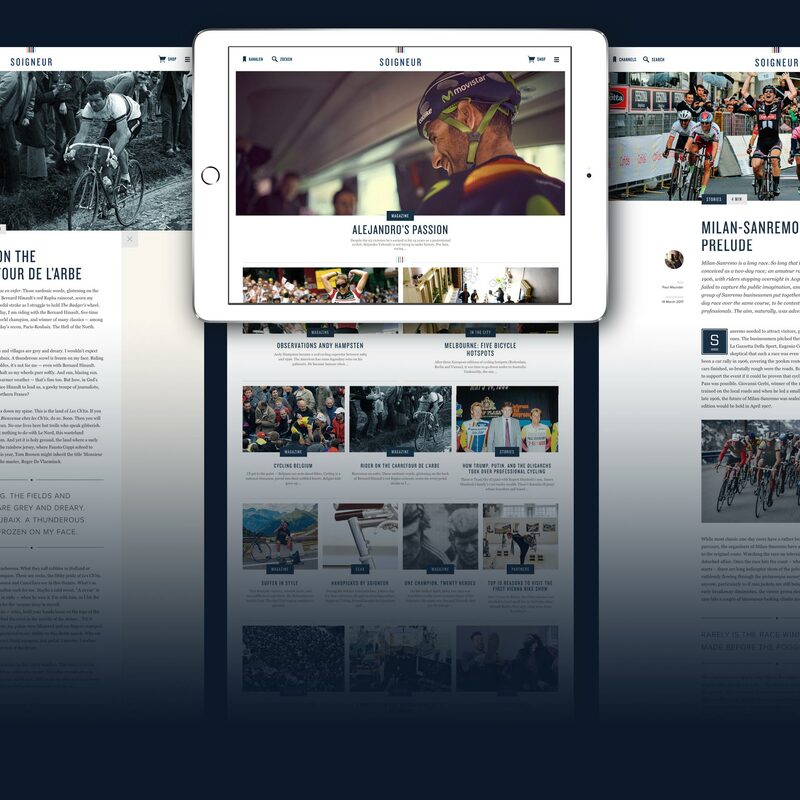 We wanted to translate this Soigneur reading experience to the online platform. Instead of thinking in templates, we designed the website in different story bricks. The content team could use these bricks to build up their story. This way we provided tremendous flexibility. Soigneur has some of the most stylish and visually powerful photographs you will find. 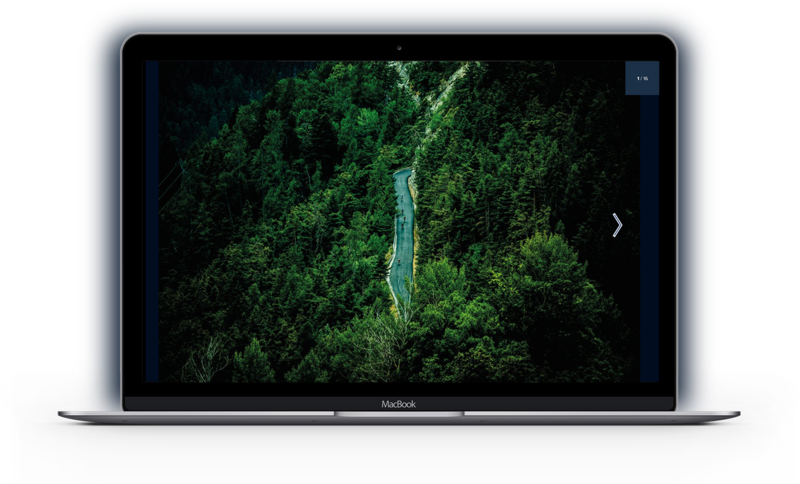 With a fullscreen image gallery we let visitors experience them in the best way possible. 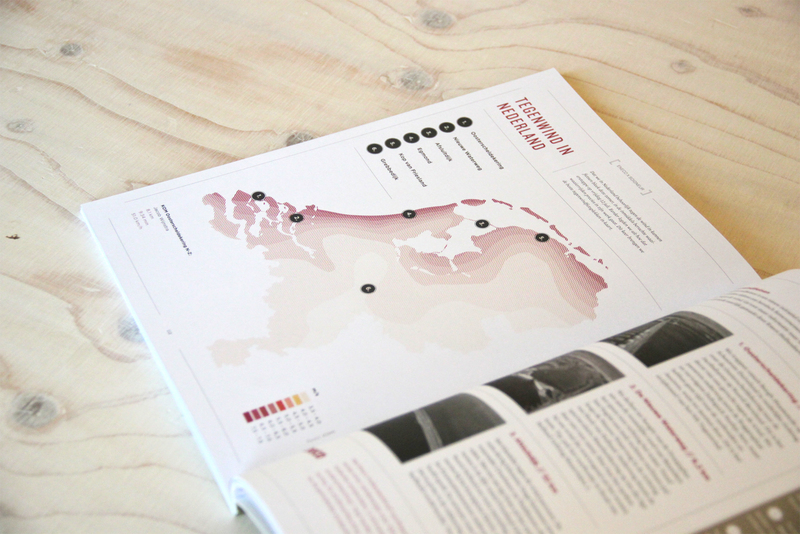 Besides creating the online platform, I helped designing various in-depth articles for the offline magazine. With these articles/infographics we gave the reader more insight in complex matters.